Well, well, well. Haven’t Gibson been busy this week? 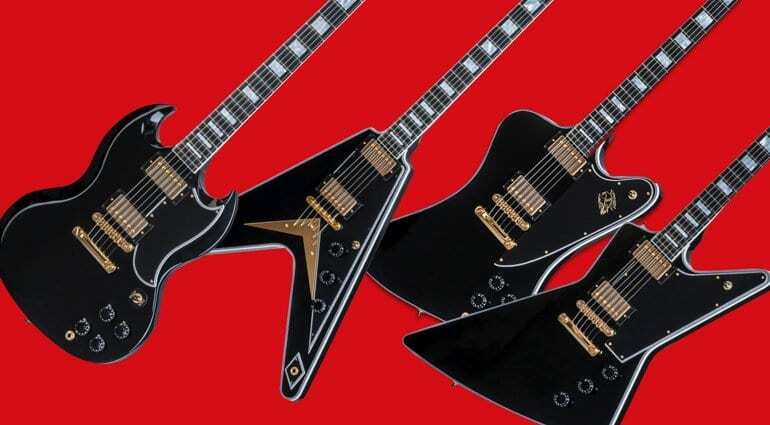 The US maker has just released Custom versions of the SG, Firebird, Explorer and Flying V. Styled completely in black and gold, these guitars look really classy and, dare we say it, traditional. These new versions harken back to Gibson’s roots and is a far cry from the new Modern Double Cut Standard and ‘Paint-Over’ versions we have just seen released. 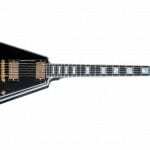 Each of the four guitars is finished in a glossy black nitrocellulose paint job, and features white binding and gold hardware throughout. 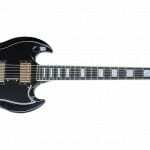 They all feature ‘ebony lookalike’ Richlite fretboards with custom block pearl inlays. And they certainly look the part! Gibson’s use of Richlite is an attempt to be more consistent with quality while avoiding over-use of rare woods like ebony. With CITES regulations kicking in all over the place, this can only be a good thing. With all four guitars incorporating mahogany bodies and necks and 490R neck and 498T bridge pickups, you’ve got a sure-fire recipe for classic Gibson tone. 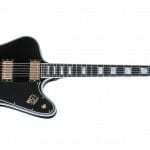 What I found unusual is that the Firebird Custom is a set neck, rather than the standard through neck construction of a standard Firebird. The purists might be up in arms about this, but we’ll have to wait and see. 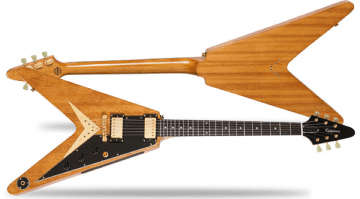 As Gibson Custom Shop guitars, they won’t exactly be cheap. 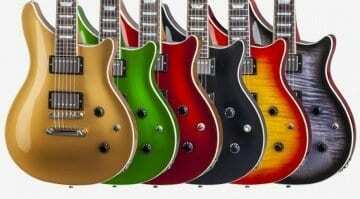 But they are all one-piece mahogany bodies and the Custom Shop usually gets the best pieces of tone wood, so I would expect them all to sound really good. 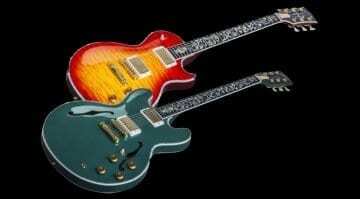 Each guitar comes with a Gibson Custom Shop hard case thrown in. 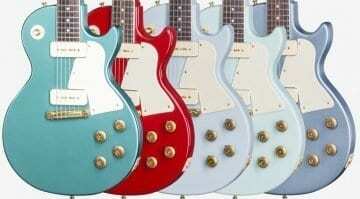 This series will be produced in limited numbers, Gibson say. I think they will all be popular – my only problem would be picking which one to buy! 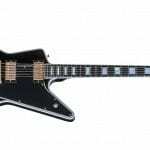 Custom shop prices for a Richlite fretboard? Major fail. I would have bought one, but not with a fake wood fretboard.